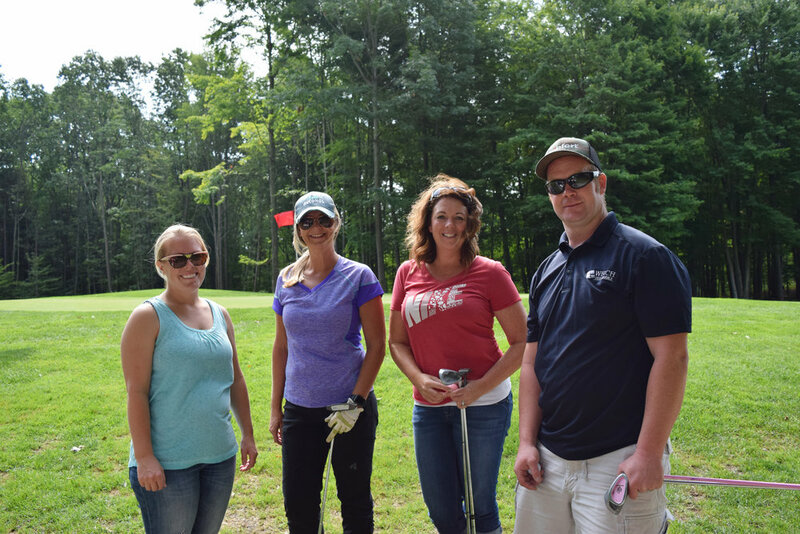 On August 24th, we, at Welch Tile, held our annual golf outing! This year, we decided to make the game go longer with 18 holes instead of the usual 9. The day began at 9 am with everyone getting their clubs and carts and the traditional company picture. We were blessed with a particularly lovely day weather wise, so, as those who golf regularly would say, “it was a perfect day for golf”. 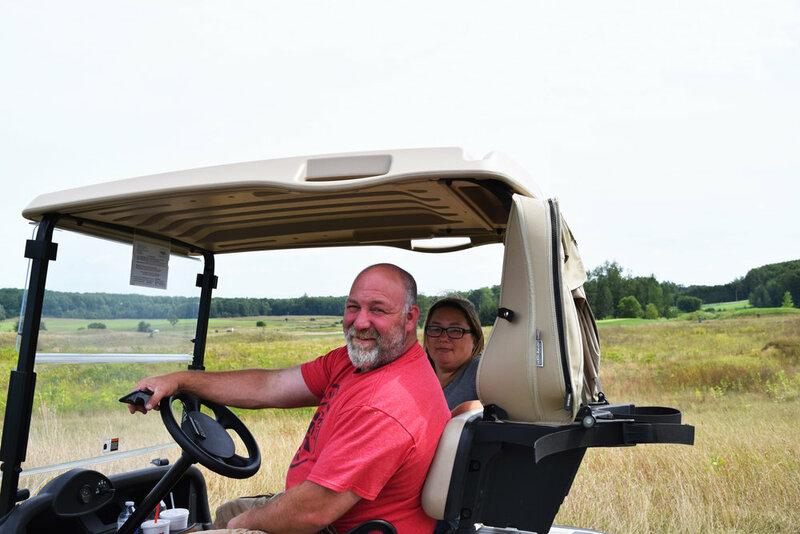 A group of volunteers from the company also drove golf carts around with games and prizes to win. We had a few of the favorite games from last year, such as the Bean Bag Toss and Putt, Putt, Yahtzee, in addition to a new game: Hit the Boat! The staff from The Falls at Barber Creek placed a small little row boat out in the middle of their pond and the goal was quite simple: to hit it! A special “congratulations!” goes out to Jeff Beek, one of our installers, who got a hole-in-one! Competition card for “closest to pin”. The day concluded with an early dinner of chicken and steak and the announcement of the winning teams. One of our office workers winning two prizes! There’s the grass clump! Atop our C.O.O., Steve Coates’, head as a mock toupe! 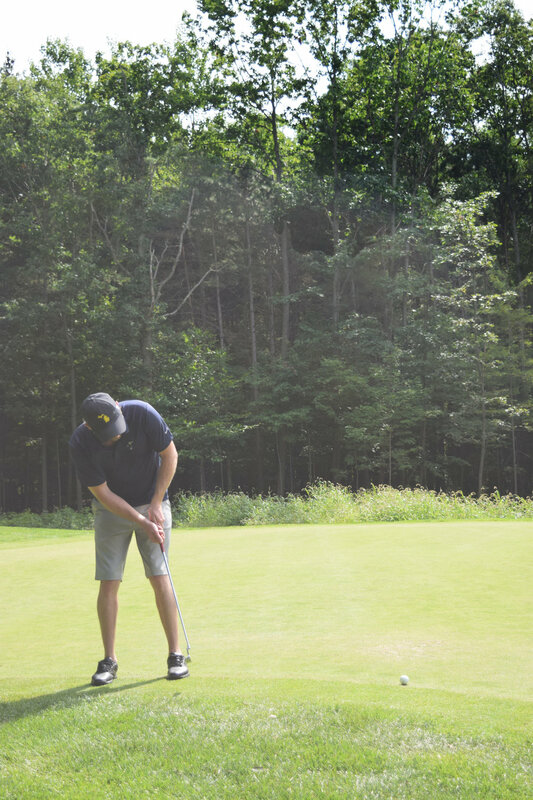 Since there was a tie for first place, a member from each team engaged in a nail-biting putt off. Thank you as always to all of our fantastic volunteers and the team of Mike LaCount, Rick Harmsen, Andrew Fredricks, Steven Coates, and all other volunteers for coordinating the day!